With a unique four-arm spider and Hollowtech II construction putting strength just where its needed, the FC-9000 chainset sets new standards for stiffness and low weight. Its new 4-arm design provides the same stiffness as previous generations, but with a lighter weight. Same bolt circle diameter for compact and traditional double chainsets means that one crankarm fits all chainring sizes. 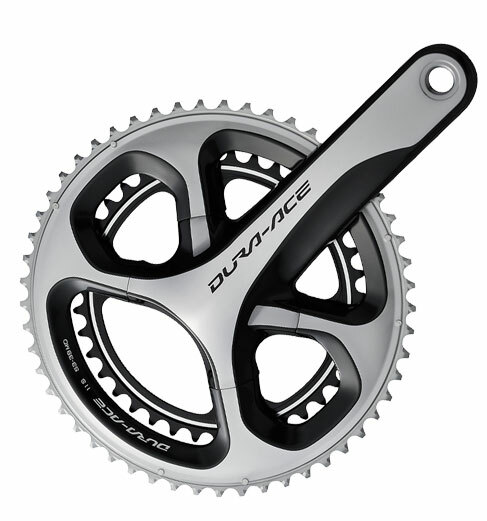 Includes Hollowglide chainrings.